Above; a line-up 9. 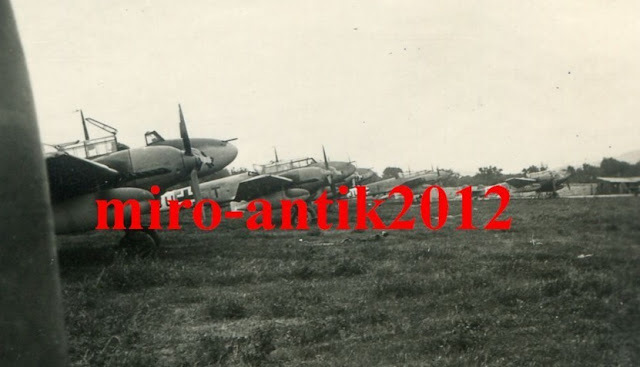 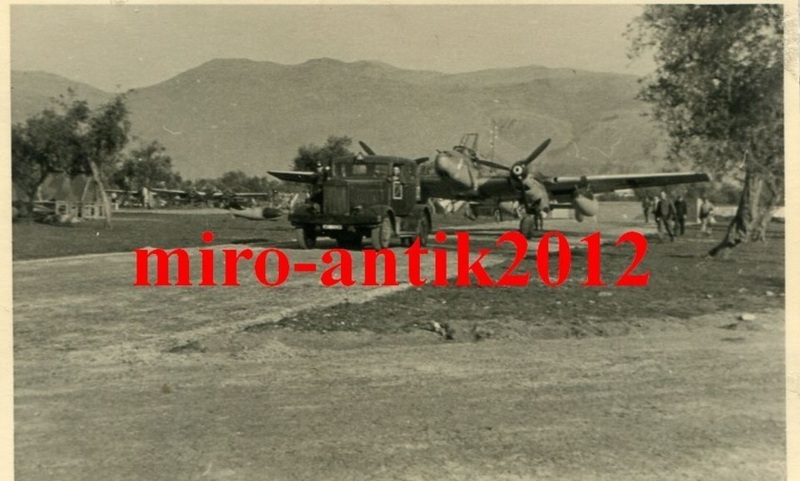 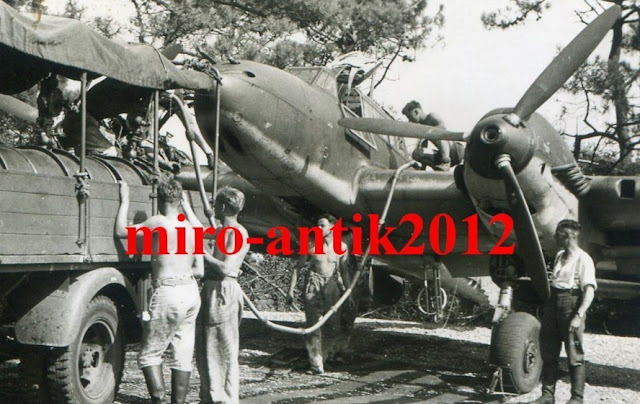 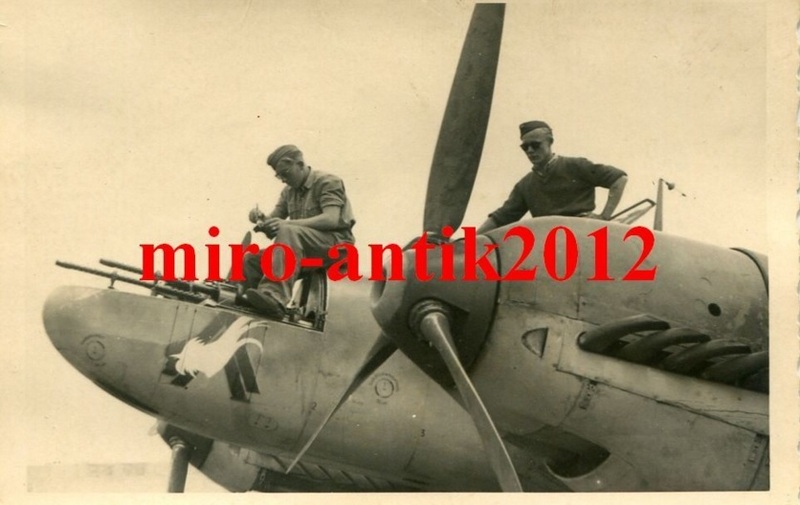 Staffel ZG 26 Bf 110s during early 1941 on Sicily. 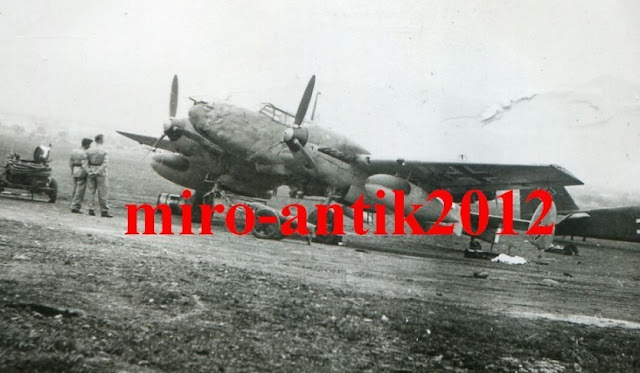 Second in line, Bf 110 C/D "3U+ ?T" and below; a nice close-up of the Staffelwappen, a stylised Hahn or cockerel on the Zerstörerdoppelwinkel, the double chevron of the 'destroyer units'.